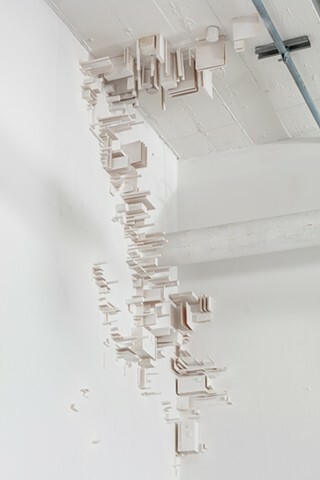 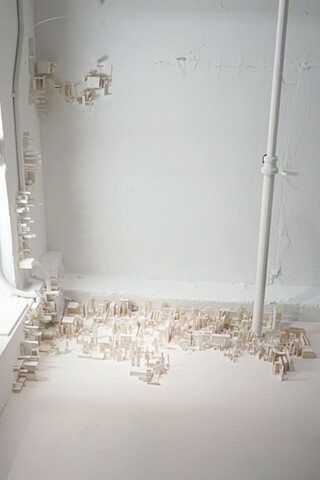 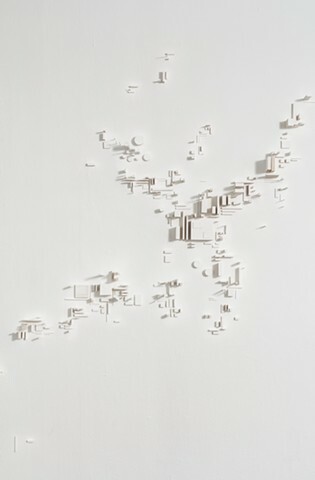 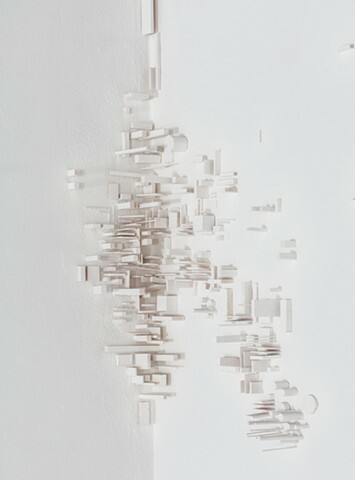 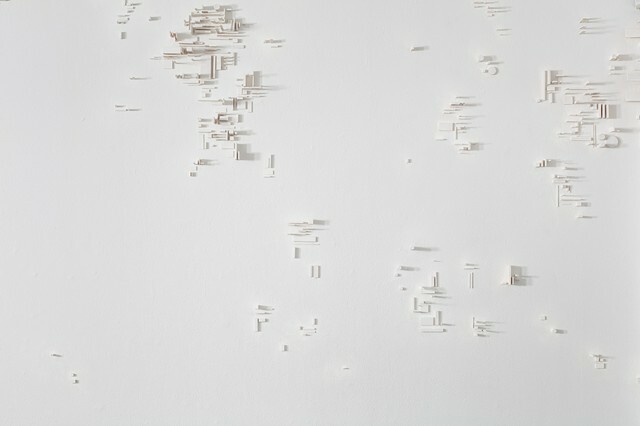 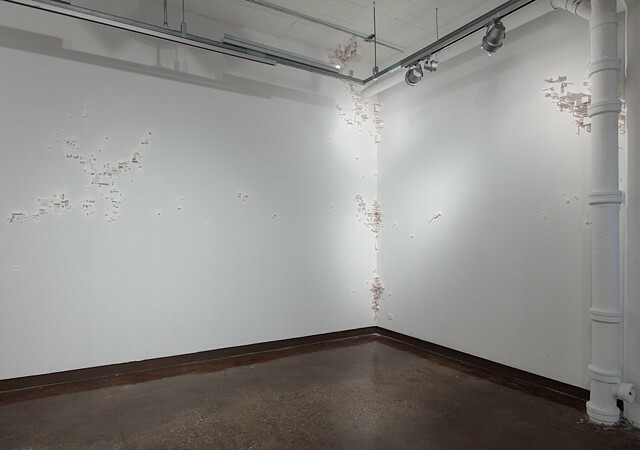 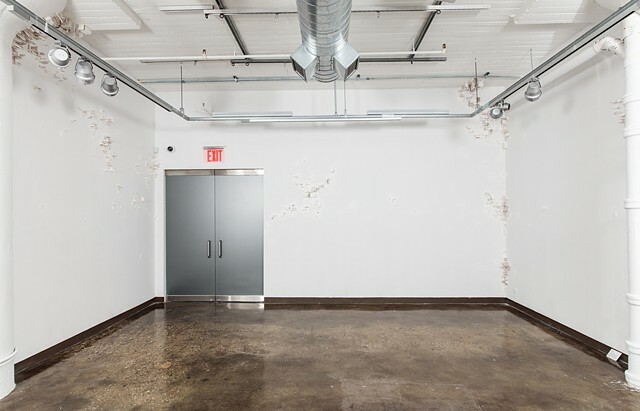 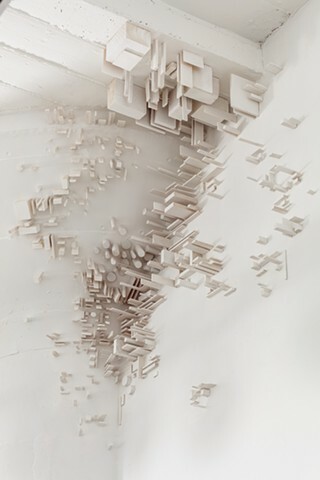 A site specific installation made up of wooden pieces (spray-painted white) attached to the floor, ceiling and walls of a room. 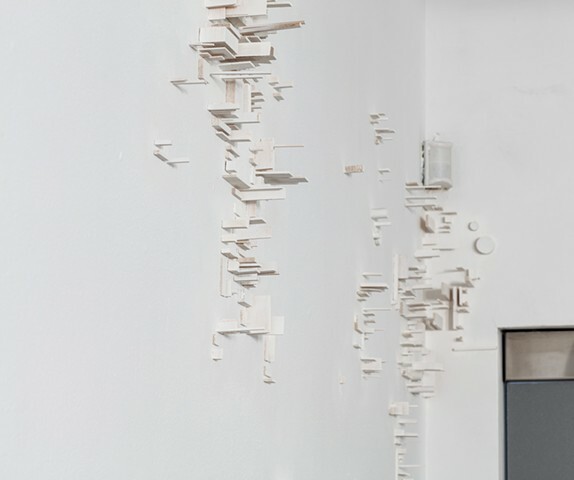 These “growths”, or developments, are placed sporadically in the room and draw similarities to microscopic systems such as fungi, as well as macroscopic networks such as city formations. 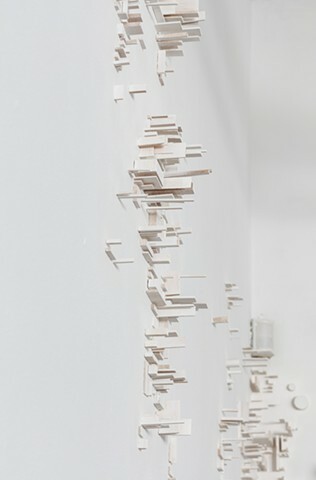 2016, size varies, wood, spray paint and glue.